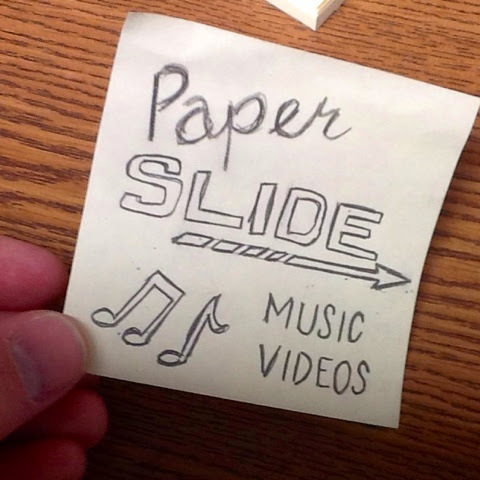 Today's post is a super-easy way to integrate video creation into your class. All you need is one tool to record video (smartphone, tablet, digital camera, flipcam). 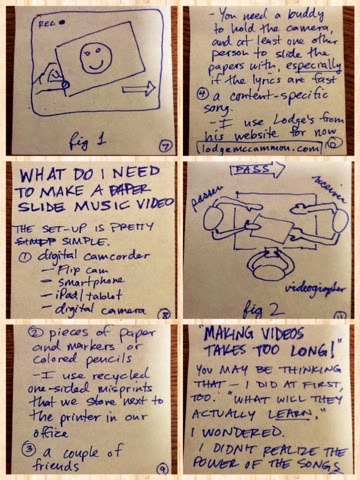 My first attempt at paper slide music videos I attempted to have each of my 3 classes collaborate to make one video, which turned out to be a mistake. Only 1 of the classes were able to pull it all together and finish. This week, for my second attempt, I split the students into groups of (up to) 4. 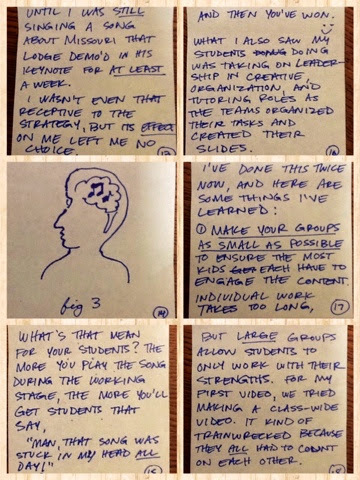 It was good for forcing more accountability for the work, and because it required fewer students to all be there/have their materials/do their work, we had more measures of success. 1. Make your videos in groups of 3 or 4, and let the kids self-select. 2. Don't be stingy with materials. I counted out enough slides for each group to have enough, but there will inevitably be crumbled slides on the floor that need to be redone, so keep a stack of extras on hand for the kids to access. 3. 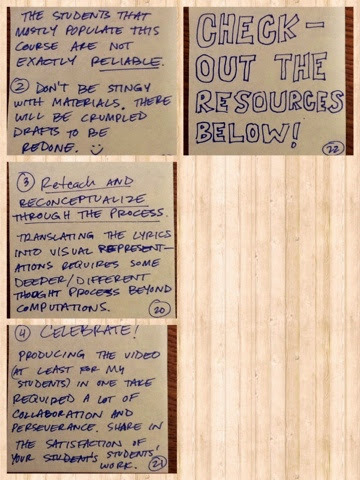 Reteach and reconceptualize the content throughout the process. The thought required to package the idea of proportions visually is more than simply solving problems out of your textbook, so you may be shocked about misconceptions students have along the way. Use it as a teachable moment. 4. Celebrate! 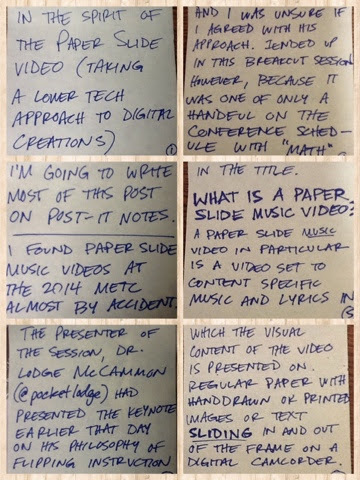 Producing these videos in one take required my students higher levels of organization, perseverance, and attention to detail than I'm used to seeing from several of them, so it was a delight to be able to breathe a sigh of relief and congratulate them when they were successful.